The most surprising thing about the fast-rising Mitski Miyawaki's fastidiously excellent live show is how seamlessly the songs you know blended with the ones you might not. For more than 20 art-rock compositions that somehow moved at a Ramones clip (only two cuts on this year's highly regarded Be the Cowboy break three minutes), crunching abrasions like "I Don't Smoke" never punctured the yolk of ornately arranged scale-diving marvels like "Nobody," and melded comfortably in a way that playing their vastly different recorded versions side by side would not. 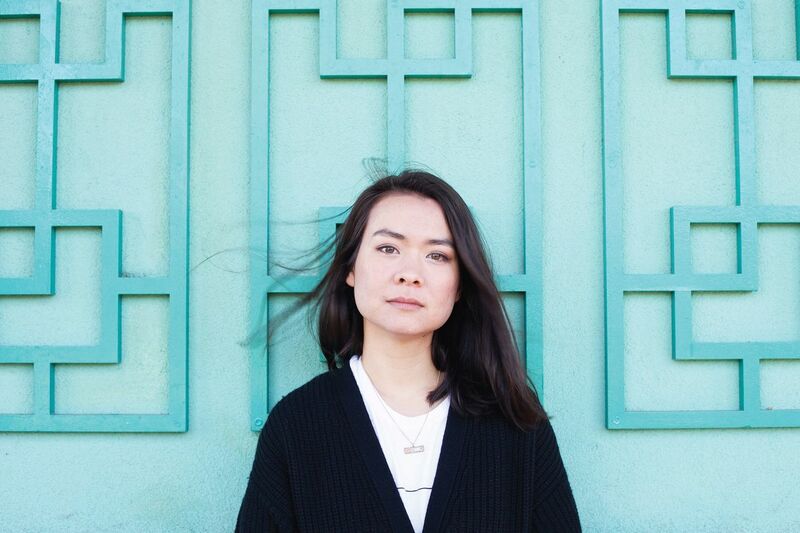 Mitski's incredible voice didn't strain at all to reach the lengths of "Geyser," possibly the most gymnastic rock song of 2018, vacuum-sealing an aria comfortably inside of 2:28, and her first great tune, "Townie" stood out more for its physically demanding ululations than its powerful imagery ("I want a love that falls as fast as a body from a balcony"). As a songwriter, her chord sequences can be simply astounding ("Happy," "Why Didn't You Stop Me? "), and as a performer, she let those achievements do the talking, with just the occasional word or two between them ("It feels really nice and kind of cozy today with y'all"). In fact, she didn't talk at all under after her seventh song, upon which she launched "A Pearl" with an intensity that stood out more than its Be the Cowboy version, or maybe the frenetic pace of all these reordered vignettes allowed them to shine at different angles. Less surprising was the series of surefire knockouts — “Your Best American Girl,” “Why Didn’t You Stop Me?” “Geyser,” “Happy” — capped with a more obscure ending of 2013’s “Goodbye My Danish Sweetheart” (“Maybe some of you know it if you are familiar with my Bandcamp”) rather than 2016’s beloved nervous breakdown “My Body’s Made of Crushed Little Stars,” which rammed home their quiet domestic explosions with a backdrop of venetian blinds projected on the background screens. Few rockers this artsy or emo types this lacerating remind us so often that they’re in it for the pleasures of the ear, too. And even fewer come up with an anthem as world-swallowing as “Your Best American Girl,” much less with something to say about race.